Production Engineering + M.E / M.Tech in Industrial Safety OR Fire & Safety Engineering. Educational Requirements:B. Tech in Metallurgy OR Material Science. How To Apply: Applications should be sent on plain paper (to be neatly typed or hand written) in A4 size paper (210 x 297mm) along with the selfattested true copies of certificates, mark sheets and affixing recent passport size photograph in the application giving the following details. General Information: 1) B.E / B.Tech should be in First class with an aggregate minimum of 65 % (average of all semesters) or CGPA/CPI grades of 6.5 on a 10 scale. M.E / M.Tech should be in First class with an aggregate minimum of 60% or CGPA / CPI grades of 6.5 on a 10 scale or equivalent. 2) The post is temporary, but likely to continue indefinitely. 3) Age limit as on 31.10.2014 is 35 years. Ex-Servicemen and Persons With Disabilities (PWDs) are eligible for upper age relaxation as per Govt. of India rules. Children/family members of those who died in the riots of 1984 will be given preference in recruitment by giving necessary age relaxation as applicable. 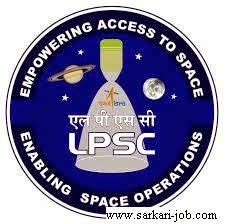 4) Initially the place of posting will be in LPSC, Valiamala but the incumbents are liable to be posted in any of the Centres or Units of ISRO or Department of Space situated anywhere in India as and when required. availability of higher post, by which the staff can be evaluated for the advancement of their career in the Organization. 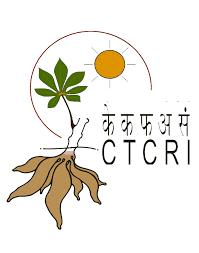 6) Applications completed in all respects should reach the ADMINISTRATIVE OFFICER, RECRUITMENT SECTION, LIQUID PROPULSION SYSTEMS CENTRE, VALIAMALA PO, THIRUVANANTHAPURAM – 695 547 on or before 31.10.2014.